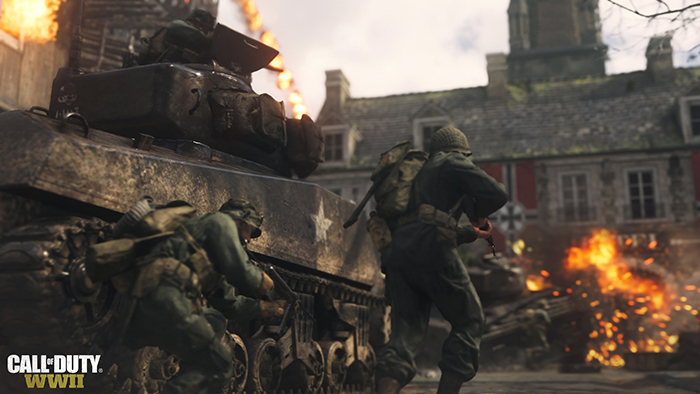 We’re at least a month and a half before we see any DLC drops for Call of Duty WWII, but that hasn’t stopped players from digging into the game’s code find new tidbits on what’s coming up next. Thanks to a YouTuber, IAMJarni, whose video has since been pulled, we now know a few things coming to the World War 2 shooter. According to the data mine, gamers can look forward to a few new game modes like Control, Infection and the ever popular, gun game. As for the weapons, we don’t have a name for all of them, but the video reportedly showed off a few like a sawed-off shotgun. Thanks to the internet, the video that was pulled from YouTube lives elsewhere (for the time being), which you can view below. With all the controversy surrounding EA and the loot boxes in Star Wars Battlefront, it’ll be interesting to see if these new weapons will only be obtainable through loot crates or if they’ll be purchasable in-game via the division setup and purchased with unlock tokens, which players receive upon leveling. Again, with no set timetable for these updates other than a possible drop in the first DLC, the release could be next week or two months from now.